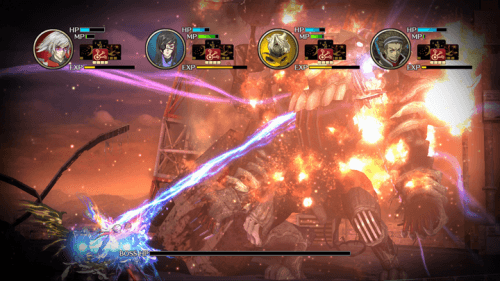 The side-scrolling Beat Em’ Up is a rare breed in this modern gaming world. Even rarer is a truly good side-scrolling Beat Em’Up. However many mediocre and just plain bad games have had the gaul to call themselves that kind of game, the genre has always had it’s shining gems. From Battletoads to Double Dragon or TMNT: Turtles in the Time to River City Ransom. The genre has arguably had more hits than a lot of other genres could claim. That brings us to Moon Diver, the latest to join the crowded room of side-scrolling Beat Em’Ups. Does Moon Diver ride the milky way right to the moon or does it crash and burn? As previously stated, Moon Diver is a side-scrolling Beat Em’Up. However it doesn’t feel much like the Beat Em’Ups of old, not entirely at least. Instead it expresses a feel and imagery closer to the Sub Space Emissary mode of Smash Bros. Brawl. That may be an odd comparison with a Square Enix title featuring a large cast of anime-esque characters but it is very reminiscent to say the least. But this isn’t a comparison this is a review of the game as it stands alone. Standing alone, Moon Diver is an appealing and attractive game. It plays well and the cooperative gameplay is indeed a great deal of fun. I was fortunate enough to play with a partner and we were both captivated by the game. The controls are easy to learn and are incredibly accurate. Not once during play did I find that I had difficulty controlling my character or performing gameplay tasks. It was a very streamlined control experience. It is worth noting that the game features RPG elements as you’d expect from a Square Enix title which does indeed give it a different feel to your everyday Beat Em’Up. Each character has their own unique abilities and personality. It’s Square Enix to a tee. One thing I did feel from the characters was a Strider-esque vibe. I’m not sure whether it’s due to fact that they are ninjas or what, but they remind me strongly of Strider. Which as Strider fans would know, can not be a bad thing. Being ninjas the characters are expectedly acrobatic. This is a large part of Moon Diver’s uniqueness, as you can have the characters flip about, cling to cieling and bounce off walls. All of this looks so fluid and natural that you quickly become acustomed to the games physics and can just run wild with it. Overall, Moon Diver features fascinating gameplay mechanics which spin some RPG elements and interesting physics nicely into the classic Beat’Em Up formula to great results. Graphically, Moon Diver is impressive for an Xbox Live Arcade title. With beautifully concieved lush world designs and very unique anime styled characters it is difficult to dispute that Moon Diver looks brilliant. The characters are full of such vigor and life, it is a total viewing pleasure to simply watch your character move with the grace and precision of a ninja. At times I found myself getting caught up in my characters movements and noticing the fine detail and attention put into the simple things such as running. It is incredibly impressive and it truly shows how much care was put into it’s creation. The visuals of Moon Diver are all in all a wonder to behold, they not only are well done for an Xbox Live Arcade title, but they are also well done for an Xbox title in general. Some full retail releases struggle to look this good and that’s truly a testament to the game and its developers. 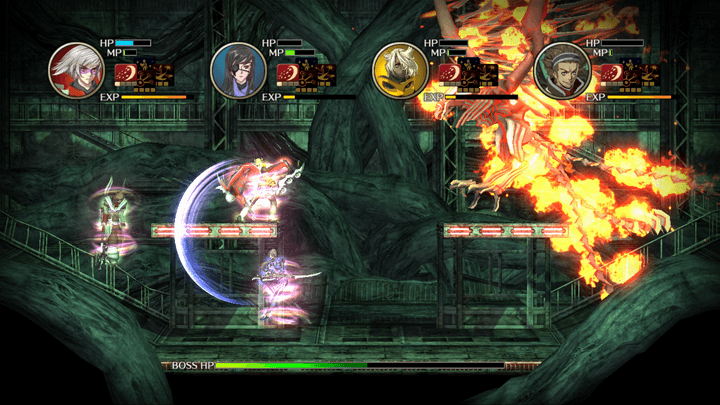 Moon Diver boasts a well composed soundtrack which provides a suitable score for the gameplay. They do their job perfectly and are never repetitive or monotonous. Each track creates the appropriate mood and atmosphere without faltering. It is the exact type of music you would expect from a Square Enix release and the developers did a good job matching the music to the action. There is nothing to fault the games music on what so ever. In closing, Moon Diver is a game that harkens back feelings of nostalgia whilst feeling as fresh as cold water on a hot summers day. The game is fast, intense, compelling, nostalgic, fresh and most of all fun. You could find hours of enjoyment hidden in this underappreciated Beat Em’ Up. 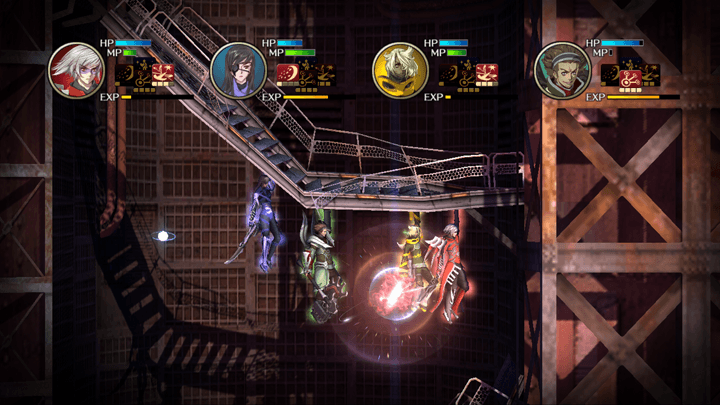 Whilst games such as Bastion and From Dust have currently taken the Xbox Live Arcade by storm, Moon Diver is seated right besides them, calling out to be played. Is it within the league of those titles? Indeed it is? Is it better than those titles? That is up to you to decide. 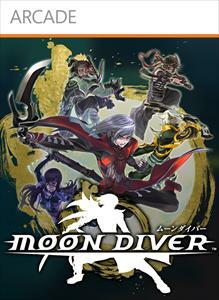 One thing is for sure however, Moon Diver is not a game to be missed.